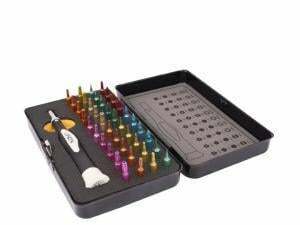 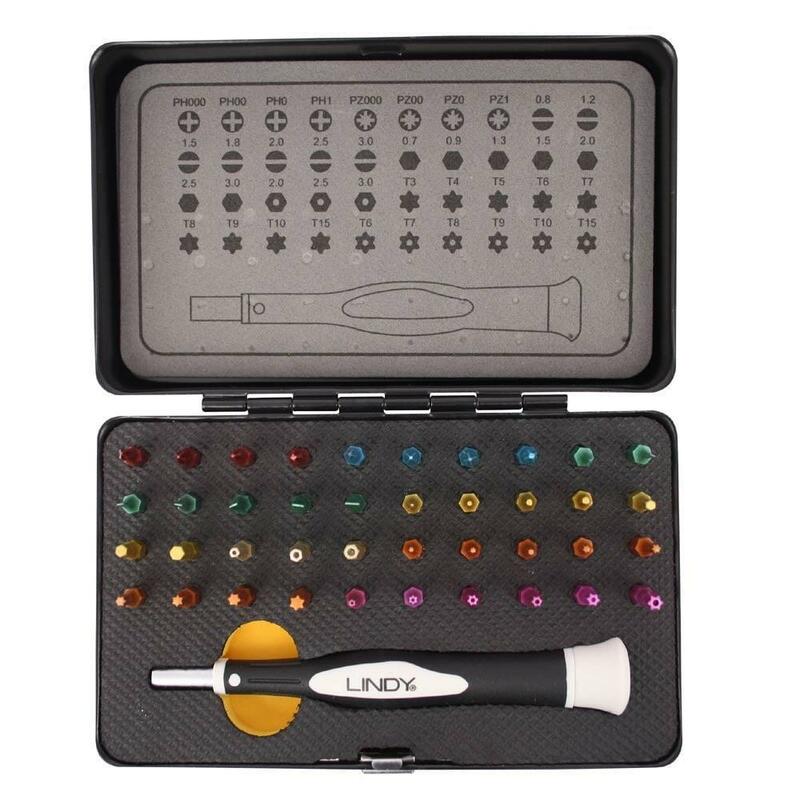 The LINDY 40 Piece Colour Coded Precision Screwdriver & Torx Set is a high quality toolkit featuring 40 different screwdrivers for electronic or general purpose precision use. The bit driver features an oversized rotating grip for comfort and ease of use. 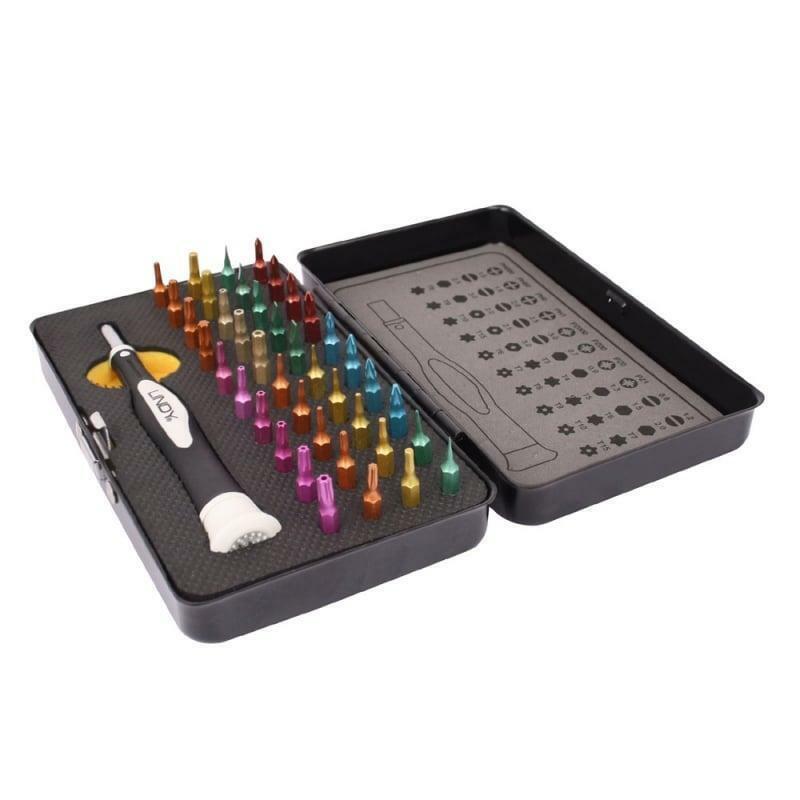 Each bit is clearly marked with its driver size and magnetically clips to the bit driver for extra security when working.